LANDFILL HARMONIC follows the Recycled Orchestra of Cateura, a Paraguayan youth orchestra that plays instruments made entirely out of garbage. When their story goes viral, the orchestra is catapulted into the global spotlight. Under the guidance of idealistic music director Favio Chavez, the orchestra must navigate a strange new world of arenas and sold-out concerts. However, when the largest flood in over 20 years devastates their community, Favio must find a way to keep the orchestra intact and provide a source of hope for their town. The film is a testimony to the transformative power of music and the resilience of the human spirit. 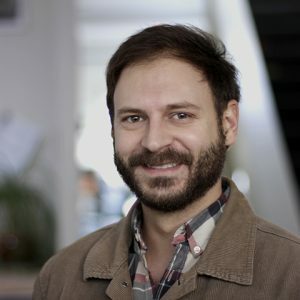 Brad is a Los Angeles-based filmmaker specializing in adventure, social issue, music and Spanish-language films that inspire audience engagement. He has worked on many documentaries including My Village, My Lobster, the CINE-winning documentary about indigenous lobster divers in Nicaragua; 120 Days: Undocumented in America, which tells the story of an undocumented immigrant’s last days in the United States with his family; Waiting for Oil, a half-hour film about the BP Deepwater Horizon oil spill; and Songs from Bosawas, an adventure film that documents the first professional recording of Mayangna Indian musicians in the rainforests of Nicaragua. Brad’s most recent film, Landfill Harmonic, has been screened in over 200 festivals and honored with more than 40 audience and jury awards, including the SXSW Audience Award, AFI Fest Audience Award and the Green Film Network Award, considered the Oscar of environmental filmmaking. In addition, Brad won the Humanitas Prize in 2016 for his work on the film. Before transitioning to filmmaking, Brad spent 3 1⁄2 years as a community health volunteer in the Peace Corps in rural Nicaragua. He holds a M.A. in Film and Video Production from American University and a B.S. in Biology and Geology from the University of Georgia. 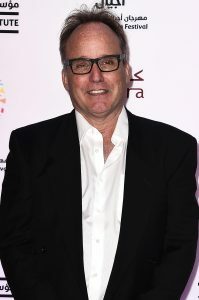 Graham is an Emmy-nominated director of high-end documentaries for PBS, National Geographic and the Discovery channel; films such as “Becoming Human”, a 3-part series on human evolution for NOVA, “Dawn of the Maya”, “The Great Inca Rebellion”, “King Solomon’s Mines”, “Magic Mountain”, “Maya Apocalypse” and many more. He trained as an anthropologist and has a Ph.D from Cambridge University. He went on to work in ethnographic films for the BBC such as “The Shaman and his Apprentice” based on his own fieldwork with a tribe of the Peruvian Amazon and “From the Heart of the World”, a film about the Kogi Indians of the Sierra Nevada of Colombia. Two of his films have been featured in the Environmental Film Festival: Landfillharmonic in 2015, and E.O. Wilson: Of Ants and Men in 2016.